I’m sitting in an executive boardroom on the seventh floor of the municipal building, listening attentively to the ideas being thrown around in the room. I’m nodding my head in agreement and finding myself energized by the conversations taking place. If you picture the boardroom holding a group of high-power executives in suits – you are wrong. 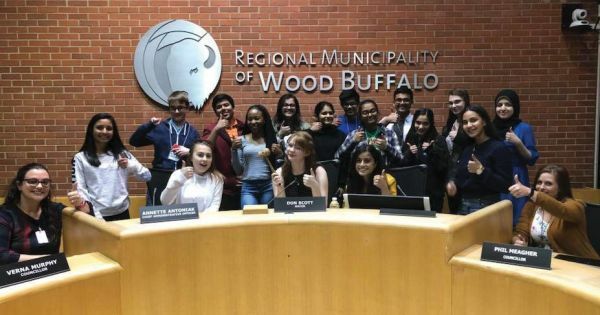 In actuality, it was me – a 35-year-old mother of two, sitting in a room with the members of MACOY – the Mayor’s Advisory Council on Youth, aged 14 to 18 years. Being in a room with MACOY, it’s impossible to ignore their energy and determination – you know they are the ones who will be leading our region’s future. This year’s group has 30 members, who like their alumni, seek the opportunity to develop as leaders and create change. Since MACOY’s inception 25 years ago, the region has changed. It has grown through economic highs and lows. It has become an amalgamated region by encompassing ten communities. And today, it’s diverse in culture. What hasn’t changed are the region’s youth as they continue to strive to give back to their community. Mayor Don Scott has been a very, engaged mentor with perfect attendance for every MACOY meeting since being elected. He is consistently seeking feedback from them on how to make the region a place for youth to thrive. The focus of MACOY is to connect the youth to the Mayor and help them develop to become young leaders in our community. It’s a grassroots approach to utilizing the youth’s skills and knowledge by helping connect them to different organizations and resources in the region. Each year, the members choose a community project to be a part of and see it through from conception to completion with the help of their mentors. This years’ projects included; a Community Coding Day/Hack-a-Thon, a social media/video campaign for Canadian Mental Health Association (and the creation of the barrier-breaking group called “Youth Against Stigma”) and a planning committee for a celebratory event for MACOYs 25th Anniversary. Each project was professionally executed. It may have been a daunting task for many but was taken head-on by this unstoppable group of youth. This year brought a new addition to its platform called Council’s Corner, which allows municipal councillors to attend regular meetings. They also had new opportunities working with MACOY leads Nicole Martyn-Dickinson and Tinna Ezekiel to engage with other adult mentors from various, local organizations. “How do youth become a part of MACOY?” There is an application process, which allows students in grade seven through 12, from any public, Catholic or homeschool in the region, to apply. “What’s next for MACOY?” MACOY will see an expansion in growing from 30 to 70 members for the 2018/2019 year. The layout will be a little different, as well with a general assembly composed of prior MACOY members overseeing five sub-committees with a focus on Arts & Culture, Engagement & Outreach, Health & Wellness, Social Equity and Urban Planning. The adult mentors will be brought back to help connect the youth to the community and support them on their action projects. 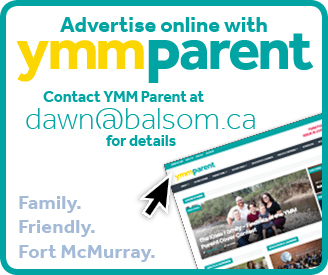 If you are a youth looking to become more involved in your community or are seeking more information about MACOY, please contact macoy@rmwb.ca and learn more on the MACOY website at rmwb.ca/MACOY. I was always interested in mentorship, but never fully understood how to become a mentor. I had mentors, but couldn’t quite pinpoint how I came to have them, or how to go about mentoring someone else. 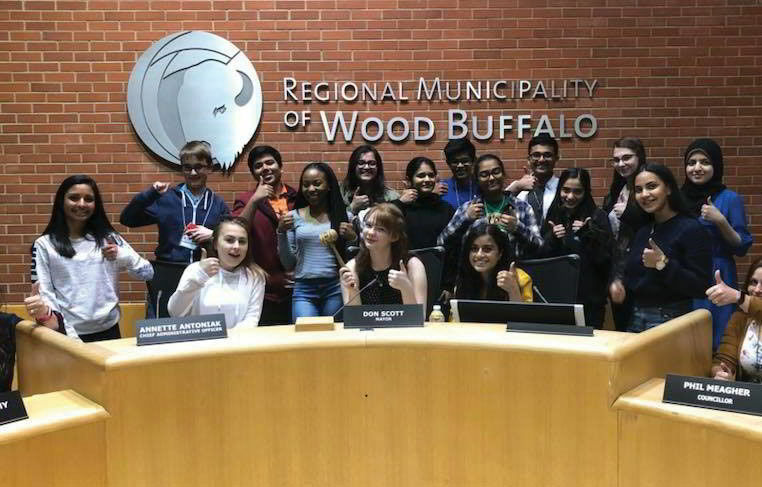 As a member of the 2017/18 Leadership Wood Buffalo cohort, I had the opportunity to become a mentor for the youth of MACOY. Through this process, I realized that you don’t need to officially be called a mentor or be appointed as one to impact someone’s life. I believed I would walk into a room with the title of “Mentor,” and immediately become an integral part of someone’s life – this was not true. Becoming a mentor doesn’t happen overnight. But eventually, I felt like one. When working with youth, a large part of the time is spent building a relationship and supporting them. For me, I started to feel the shift once my Leadership Wood Buffalo commitment completed and I continued to show up. I think being a mentor is mutually beneficial. Becoming a mentor has changed me. It changed me as a mother and a friend. It changed me as an employee and as a life-long learner – It’s two-fold. I can share lived experience with the youth and, in turn, they empower me to develop myself and open up to new opportunities that I may not have noticed before. It is truly like nothing other that I have experienced. So, while it may seem like a difficult task, becoming a mentor can be as easy as forming a relationship. Find someone who is like-minded, look into organizations such as Big Brothers Big Sisters or reach out to groups of interest to you. Then, go all in and open your mind and heart. Members of the 2017/2018 MACOY class during one of their meetings at city hall. MACOY offers youth aged 14 to 18 mentorship opportunities with members in the community.